Please print us more money. We want you to prop up the stock market. Everybody knows it’s a Ponzi scheme that will collapse without your support. You don’t want us to end up like Bernie Madoff’s clients. No, Ben, we love Ponzi schemes. We get in early and get out before they collapse. That’s why we’re rich. The bad thing is that they sometimes collapse before we can get out. But you already bailed us out twice in the last couple of years through printing trillions of dollars. Why not a third time? That will also keep the bond-market bubble inflated. We have to admit that you’ve done an excellent job there, hands down. Negative real yields all the way up the yield curve! Awesome. Now if you could just print a few trillions and buy up the sovereigns from the PIIGS. Euro crisis over. End of story. And we’d get richer because we’d sell them to you at face value though we bought them at fifty cents on the dollar. And why not forever? Just keep printing. Because as soon as you stop, stock markets will crash again, and credit markets will seize, and then we’re back on this awful ride to hell. Of course, it’ll cause inflation, which is good. You yourself said that. You stated many times that you want inflation. In fact, you said that one of the goals of the Fed, after propping up the markets, is to create inflation. So stick to it, Ben. Don’t slack off suddenly just because some cowboy threatened you. Inflation, in conjunction with your near-zero yields, has all sorts of benefits. For example, it will eat up the Social Security trust fund, whose $2 trillion balance is invested in treasuries. Fixed-income investors, retirees, and everybody who has any savings will also be demolished. And homeowners. But don’t worry. They won’t figure it out. They don’t get a statement every month that shows how much inflation cost them. It’s a quiet way of stealing from them, and it’ll impoverish them over time, but it’ll make us, the recipients of the money you print, richer. Recently, Ben, you’ve done a decent job on inflation. In July, we were running at an annual rate of 6%. Not bad. But you need to preempt any cooling off. So keep printing. Now, we’re not talking about wage inflation. Oh no. We have to keep wages down. We need cheap labor, or else we’d have to send these jobs to China—which we’re doing anyway. And not just to assemble iPhones. Heck, our lawyers in India are doing the same work as our local lawyers for one-tenth the pay. So, if our local lawyers want to be competitive…. Just think how much more profit we could make if wages collapsed! Real wages have been declining for ten years and fell another 1.7% since July 2010. But that’s not enough. So get with it, Ben. Print more. And don’t worry about the wusses out there who say that choking the middle class like that will put us into a permanent recession. Just get the banks to loan them lots of money so they can buy our stuff, and when the loans blow up, you buy them from the banks at face value. Full circle, Ben. The trillions you’ve printed and handed to us, well, we put them to work, and we created jobs in China and Mexico and Germany, and we bought assets, and it inflated prices, and now we’re even richer. We’re proud of you, Ben. Think of the influence you have. And not just here. Around the world, Ben! Look at the Middle East and North Africa. See the food riots, rebellions, and civil wars it caused? Thousands of people died and entire governments were toppled…. Oh, wait. That’s a bad example. And then there is Congress. We invested in them through campaign contributions and other mechanisms to get them to spend trillions of dollars every year on our products and services, and they even started a few wars, and it made us richer—without taxing our companies or us. It’s a wonderful system. But the deficits have become so huge that they exceed what the Treasury can borrow. So we’re glad, Ben, that you stepped up to the plate and printed enough money to monetize the deficit. But Ben, you can’t just stop now! You’ve got to keep at it. Or else, the whole system will blow up. Well, it’ll blow up anyway, but we don’t want it to blow up now. So, Ben, you don’t have a choice. Otherwise, we’d lose a lot of money in our schemes, and nobody wants that. THE DECISION BY THE FED, LAST WEEK, TO KEEP A KEY INTEREST RATE at near zero percent for 2 years is historic because the Fed has never done this before. This action will have profound negative effect on the U.S. dollar and its buying power. It also signals that even the Fed thinks the economy is not going to get better for at least 2 years. 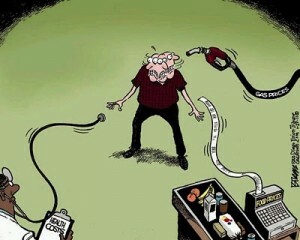 • Unleaded gas prices are up 45%. • Heating oil prices are up 46%. • Corn prices are up 71%. • Soybean prices are up 26%. • Rice prices are up 13%. • Pork prices are up 31%. • Beef prices are up 25%. • Coffee prices are up 38%. • Sugar prices are up 48%. • Cotton prices are up 13%. • Gold prices are up 42%. • Silver prices are up 115%. • Copper prices are up 23%. The official inflation rate is 3.6%, but anybody with an IQ above 70 knows that’s a statistical lie. According to economist John Williams of Shadowstats.com, the true annual inflation rate is around 11% (if calculated the way Bureau of Labor Statistics did it in 1980). In his latest report, Williams warns the dollar is in serious trouble because the Fed is not interested in fighting inflation when it needs to continue propping up the banking system. • This action is indefensible on economic merits. This move is not motivated by sound monetary policy. It’s motivated by politics. This is a payback to Obama. Shame on the Fed for mixing politics with money. • We will not go two years with this monetary policy without inflation (measured by core) exceeding the previously stated commitment by Bernanke that policy would not be allowed to rise above 2%. Bernanke and the dove members that signed onto this policy have lied to the American people. 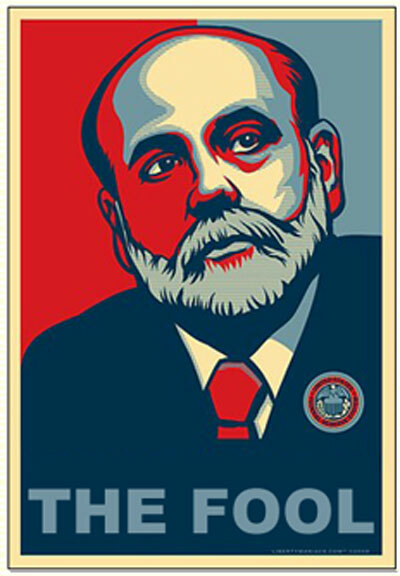 Bernanke has done it on 60 Minutes. He has done it to Congress. 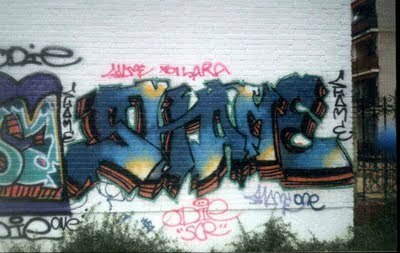 Shame on all of them. • The Fed has taken away its ability to react to a situation that would require them to tighten. We are now on a one-way street. There is no way to turn around anymore. I believe the Fed has abdicated its responsibilities under the dual mandate. The have no ability to react if inflation should pop up in a year from now. Even worse, they have no policy options should there be a run on the dollar. The possibility of a run on the buck has gone up exponentially as a result. Should that happen, the Fed will have left us economically defenseless. Shame on the Fed for making us more vulnerable to a speculative attack. • The stock market run up this afternoon is the Bernanke Put at work. Lets be clear on the consequences of Perpetual ZIRP. From this day onward every buy and hold investor who acquires Treasury debt with maturities of less than five-years is GUARANTEED TO LOSE MONEY. So if you accept that, then stocks have to look better. Shame on the Fed for debasing money and punishing savers. • We have only one monetary policy. Juice stock multiples. This is the farthest thing from “Progressive” economics as you can get. We have a policy in place that is designed to make wealthy people wealthier. At some point there will be a social cost to this. The fires and riots in London were triggered by a shooting. Underneath is a rage between haves and have nots. Shame on the Fed for rigging the outcome for fat cats. Double shame on them for when our streets are filled with rage. • Zero interest rates also means Zero risk. I think the change in Fed language will exacerbate recent short-term funding liquidity. I think we will see this appear (again) sooner versus later. I think Zero interest rates discourages leveraged investing. This policy will dry up liquidity in the asset backed market (Shadow banking system). I’m looking for evidence of this in the Euro Dollar funding markets. I am also looking for it to occur in the Term Commercial Paper market. Shame on the Fed for setting us up for this systemic risk. • Brazil, Argentina, Korea, Indonesia are going to scream bloody murder over perpetual ZIRP. Russia is likely to get downright ugly with their rhetoric. I wouldn’t be surprised if they took this opportunity to vote with their feet and just abandon the dollar as a reserve holding. China will also make noise. They will make more calls for a new international currency to replace the dollar. The Central bankers in Japan and Switzerland are puking in the trashcan over this. Bernanke is exporting US deflation to them. Shame on the Fed for pursuing beggar my neighbor policies. They deserve all the global criticism they are about to get. • Bernanke bills himself as a student of the Depression. 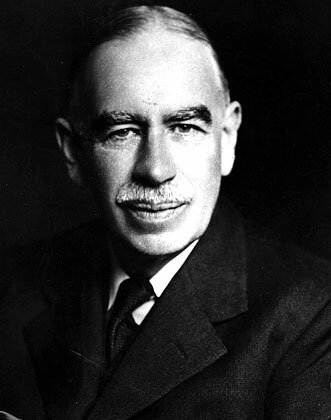 He has said over and over that he would not make the mistakes that the Fed made in 1937 when a tightening of monetary policy triggered another wave of deflation. 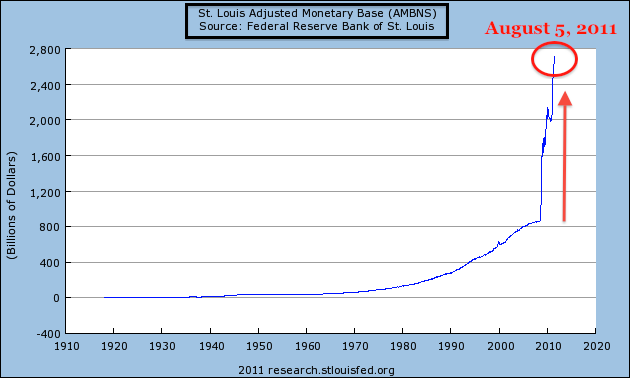 I think the history books will look at the Fed and August of 2011 and draw a similar conclusion. At a critical time in history the Fed has taken action. The mistake of 72 years ago DID cause a recession that lasted a few years. 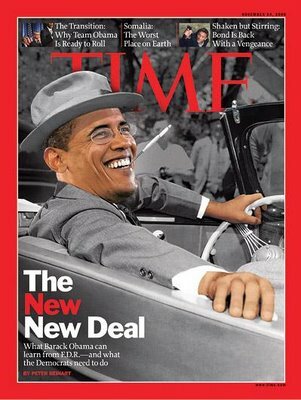 The mistakes of 2011 will mark a point in history where America turned a corner downward. One that will take a few decades to recover from. The history books will shame Ben.